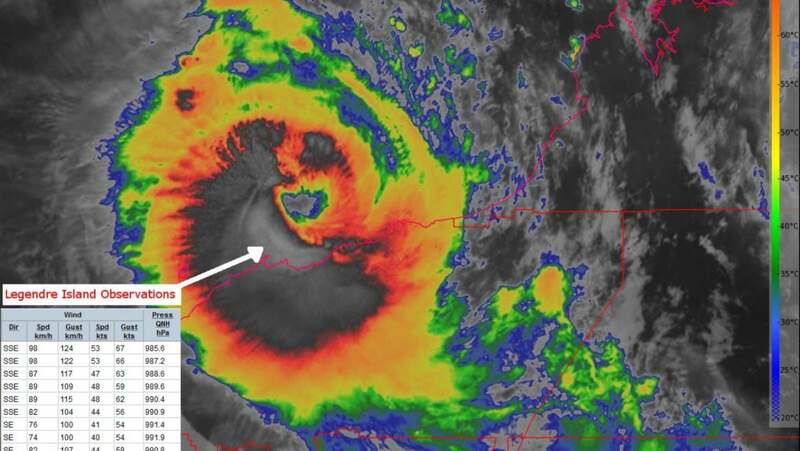 The Pilbara coast has been smashed by torrential rain and dangerous winds as severe tropical cyclone Veronica inched through the region on Sunday. Flooding had been reported during the afternoon, with sustained destructive winds near the storm's centre recorded at 150km/h with gusts to 205km/h. The cyclone has been described as "slow moving and a powerful system" by the Bureau of Meteorology, but was downgraded to a category three system. It reached land on Sunday afternoon and was over the coast just east of Roebourne and west of Port Hedland at 4pm. The centre was forecast to remain near the coast before weakening and moving west overnight. Premier Mark McGowan briefed the media in Perth on Sunday afternoon, warning the storm was moving slower than most that had seen before, adding to the risks for locals. "It's also a very, very large storm, and one not to be underestimated," he said. "It's not one of those storms that's going to pass though quickly. "Be patient and sit tight. "It might be difficult, people will want to get out, but the advice is stay indoors, stay safe, make sure your children are kept safe, do everything you can to avoid going outside." Mr McGowan said the cyclone was different to those people in the Pilbara were used to.